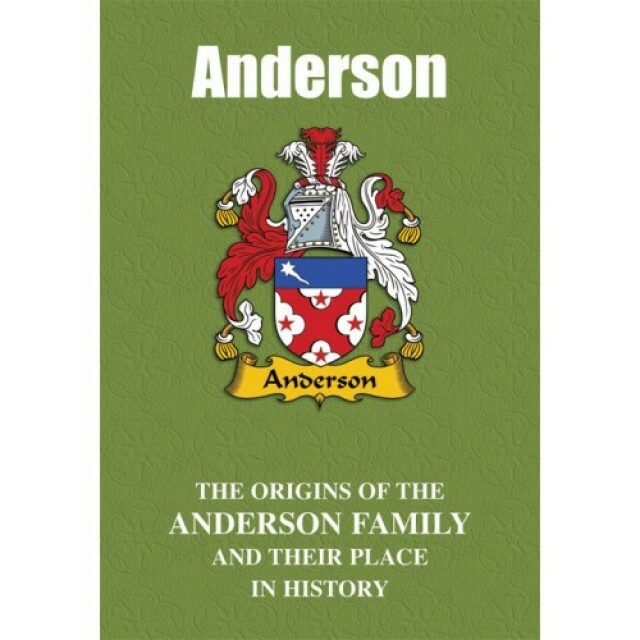 Present on British shores from earliest times, ‘Anderson’ is a name whose bearers feature prominently in the historical record. Many have gained high honours and distinction through service to their country, while others have stamped an indelible mark on the diverse worlds of the sciences, medicine, the stage, sport and music. In the world of music, Ian Anderson is the Scots-born singer, songwriter and multi-instrumentalist best known as the front-man of the band Jethro Tull that has enjoyed international success with singles that include the 1969 Living in the Past and albums that include Benefit, Aqualung and Thick as a Brick. On the stage, Gillian Anderson is the American actress best known for her role of FBI Special Agent Dana Scully in The X-Files television series, while film credits include the 2000 The House of Mirth and the 2006 The Last King of Scotland. 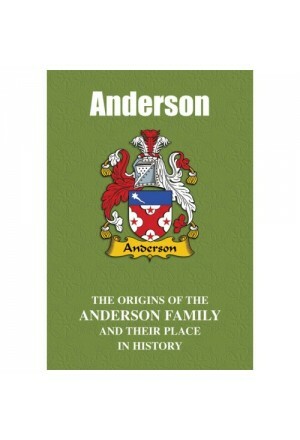 The colourful tale of the Andersons is presented here. "One particularly colourful bearer of the Anderson name was the Scottish stage magician John Henry Anderson, born in 1814, the son of a tenant farmer from Craigmyle, in the Mearns, about twenty miles from Aberdeen. Orphaned at the age of ten, Anderson was apprenticed to a blacksmith, but by the time he was aged seventeen, enthralled by magic and illusion, he was performing on stage as The Great Caledonian Conjuror. Although not the originator of the illusion, his most popular act was the ‘Gun Trick’, or ‘Bullet Catch Illusion’, where he seemingly caught a bullet fired at him from a musket, while he is credited with the rather less dangerous trick of pulling rabbits from a hat. By 1840, billing himself as The Great Wizard of the North, he embarked on a highly successful series of international tours, including the court of the Russian Tsar and throughout America. Financial disaster struck when his Glasgow City Theatre, located on Glasgow Green, was burned to the ground in an accident only a few weeks after it opened, leaving him bankrupt. He attempted to recoup his fortunes with a further series of tours, but he suffered a number of setbacks and was near-destitute when he died in 1874. By coincidence, this was also the year in which the legendary American illusionist and escapologist Harry Houdini was born, and at the height of his international fame he would cite Anderson as one of his main inspirations. It was in tribute to Anderson that in 1909 Houdini arranged for the upkeep of his gravesite in Aberdeen’s St Nicholas Churchyard after it had fallen into disrepair."